Cuba is a cultural hub with commendable cuisine. But you likely did not know just how good their desserts were. Hispanic countries are often known for their delectable cuisine choices. It is no secret that the Caribbean, Central America, South America, and beyond have some of the most delicious items on their menus. The flavorful cuisine, complemented by freshly prepared ingredients and exotic spices are enough to make your mouth water at a mere whiff. One of the best parts of Hispanic food is the wide variance across the world. A dish that you would find common in one country may not even be on the menu in another. Niche meals, such as Cuban desserts, are something you need to discover in your own way. If you are visiting Cuba from the U.S., prepare your stomach for an unforgettable dining experience. As you eat your way around the world, make sure you really do save room for dessert. When people think about exploring cultural differences in cuisine, dessert may not be the first thing to cross their mind. But really, it should be. Dessert is an international delight, and looks different within every country. If you have never taken the time to enjoy some sweeter Hispanic dishes, you are certainly missing out. Cuban food is simply divine, but Cuban desserts take your meal to the next level. Plenty of Cuban desserts are traditionally egg or custard based, which means you are in for a flavorful and creamy dish. If you are at a Cuban restaurant, or better yet, visiting Cuba for yourself, then certainly take the time to peruse the selection of Cuban desserts. However, you can even try your hand at preparing any of these dishes at home. Try these eight Cuban desserts for the perfect way to finish your meal. If you have any kind of dessert eating experience, you are likely familiar with the phrase “dulce de leche.” Even if you do not speak Spanish, this delectable addition to the Cuban desserts tray if commonly found in sweet dishes around the world. The versatility of dulce de leche is also an excellent way to spice up any dessert. If by chance you have never heard of or sampled dulce de leche yourself, you absolutely need to make this a priority. 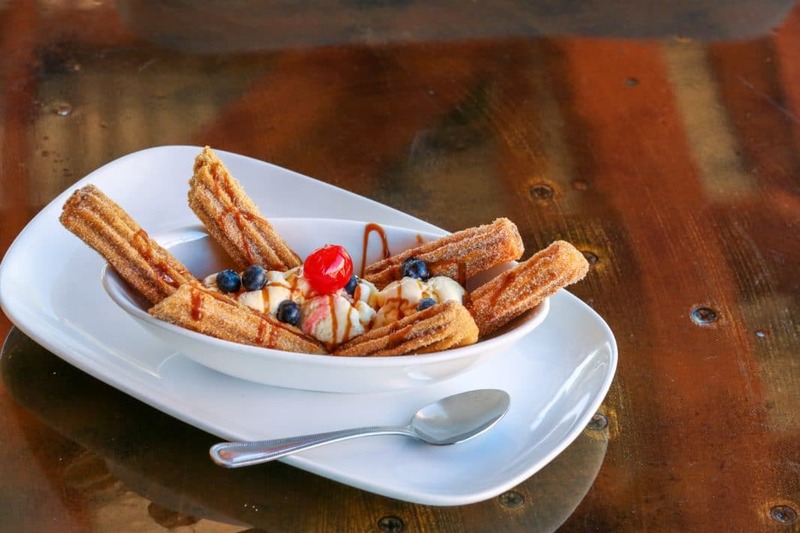 Keep your eyes out for the phrase as you explore various Hispanic dessert menus. 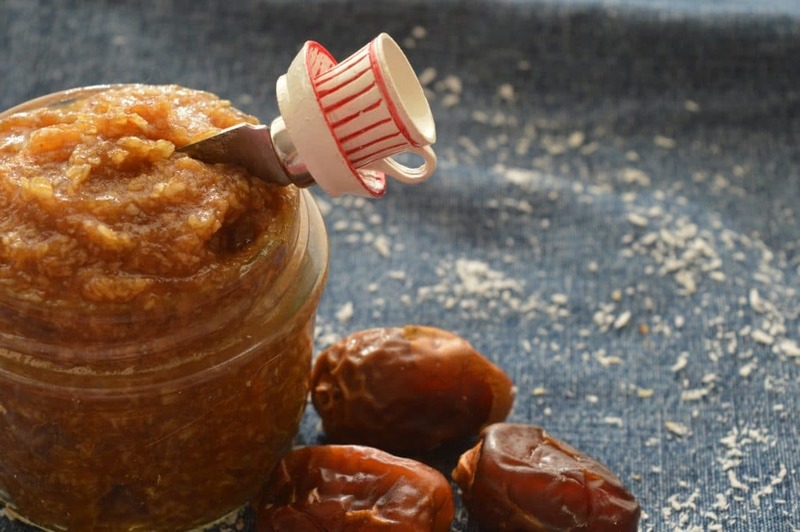 Dulce de leche is a sweet caramel sauce, made with condensed milk and sugar. Of course, the dish is topped off with cinnamon, and is absolutely divine. Everybody loves sugar cookies, right? The simplicity and precision you find in a sugar cookie tends to work within a variety of dining settings. Fortunately, most cultures have their own spin on the traditional cookie and biscuit experience. Torticas de moron are the Cuban desserts of sugar cookies. These adorably thumb printed desserts are prepared with vegetable shortening or lard and flavored with rum and lime. The unique flavor notes give torticas de moron a unique twist as a dessert. Torticas de morans are often topped off with a dollap of jam or guava paste for an extra dose of sweetness. Flan is one of those Cuban desserts that you are likely to encounter far beyond the country’s borders. This versatile dish is quite common among many Hispanic countries, and for good reason. When prepared correctly, flan is extremely delicious and leaves you craving more. If you are just starting out on your journey of Cuban desserts, or with Hispanic food overall, you need to add flan to the top of your list. This delicate egg custard combines condenses milk, cinnamon, and is topped with caramel sauce for the perfect finish. 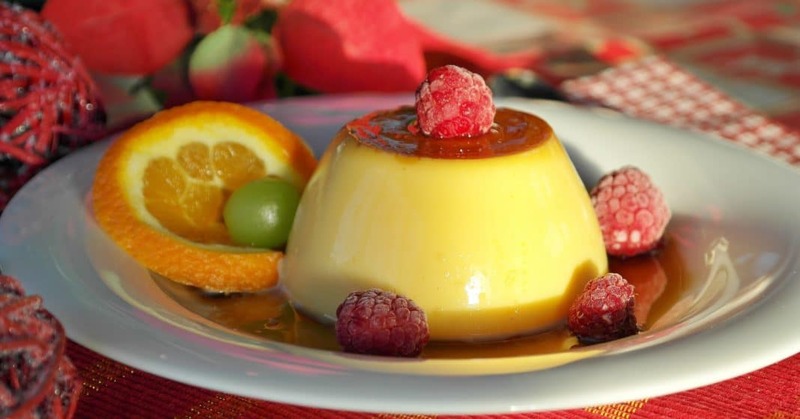 Flan is a fluffy and moist dish, with an intense density of flavor. Enjoy the primary flavor notes of caramel sweetness as you dig in. Cake rolls are quite delicious and easy to prepare. Of course, Hispanic cuisine is no stranger to these types of desserts. Brazo de gitano means “gypsey’s arm” in Spanish, and is a traditional rolled sponge cake. Among the Cuban desserts, brazo de gitano is both sweet and light. It is prepared simply with a sponge cake and filled with guava jelly. Topped with nuts or something crunchy, brazo de gitano is a delectable dessert experience overall. If you are used to western types of food, then you are likely familiar with fudge-like desserts. The consistency and density of fudge is appreciated in cultures worldwide, and certainly the ideal way to finish up a dining experience. For those looking for that perfect texture, be sure to order turrones at a Cuban restaurant. Turrones are a yummy nougat bar commonly found in Cuba. The dish has the look and feel of fudge, but is perhaps a bit more chewy. Turrones employ a sweet and salty flavor combination, using honey, sugar, egg whites, nuts, and chocolate. Pastries are commonplace among Hispanic cuisine. You can find foods wrapped in dough during any course of the meal. Empanadas and the like are the perfect way to add some delicious foods into a doughy pocket. Cubans really know how to prepare their dough, which means you are in for the ultimate treat. Pastelitos de guayba are an authentic Cuban pastry worth enjoying as a dessert. This particular dish includes guava, which is a common addition to many Cuban desserts and meals. Guava is an easy to find tropical fruit, which has the appearance of a small melon. The fruit’s mild taste and distinguishable texture makes it the perfect way to spice up any dish. Depending on the level of ripeness, guava may be sweet or sour. It is said that it’s most comparable flavor is like that of a strawberry or a pear. Pastelitos de guayba are Cuban pastries that have guava right inside the pockets. Once you bite into the fluffy pastry, you immediately encounter the fruit’s distinguishable flavor. Churros are hard to miss anywhere. 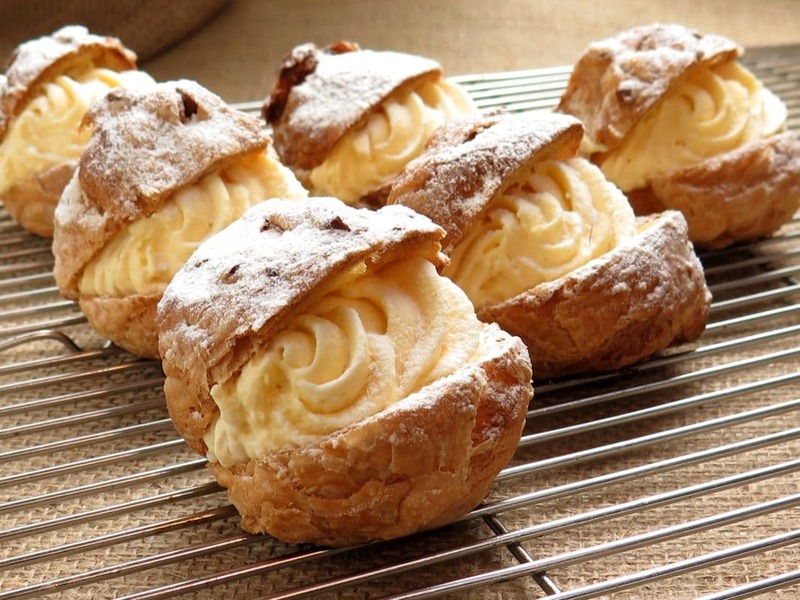 These yummy dessert pastries have grown immensely in the food industry. Churros are so popular that you can likely find them in any country. However, you really cannot pass up the authentic churro experience that comes with Cuban desserts. These fried dough sticks are best enjoyed within their original cultural context, because they are just that good. Take a bite into the cinnamon sugar perfection of the churro, after you dip it into the traditional chocolate sauce of course. Bananas and plantains are common additions to Hispanic foods around the world. These delicious fruits make for a great way to naturally sweeten up any meal. Bananas especially are a great means to make a perfect dessert dish. Cazuela de plátano is the ultimate example of this. The cazuela de plátano Cuban dessert is a buttery cassorale with varying notes of sweetness throughout. It is best known for its texture, including crispy and smooth notes throughout. The cazuela de plátano is made with bananas, brown sugar, raisins, pecans, and butter. Simple yet delectable, the cazuela de plátano is an ideal Cuban dessert. Save room for dessert, because you really are in for a treat. Is your mouth watering yet? If you have not started drooling, just wait. Once you get any of these desserts brought to your table, you are in for the ultimate Cuban cultural experience. Cuban desserts are such an important aspect of the overall dining process, and not to mention, the perfect way to end your meal. Whether you want to stick to the better-known dishes like churros and flan, or branch out and try something completely new, like pastelitos de guayba, it is all going to be good. You really do not have to fear when it comes to Cuban food. The only thing you need to worry about here is making sure you have enough room for dessert.